Ohmergerd, you GUYS. These BROWNIES! 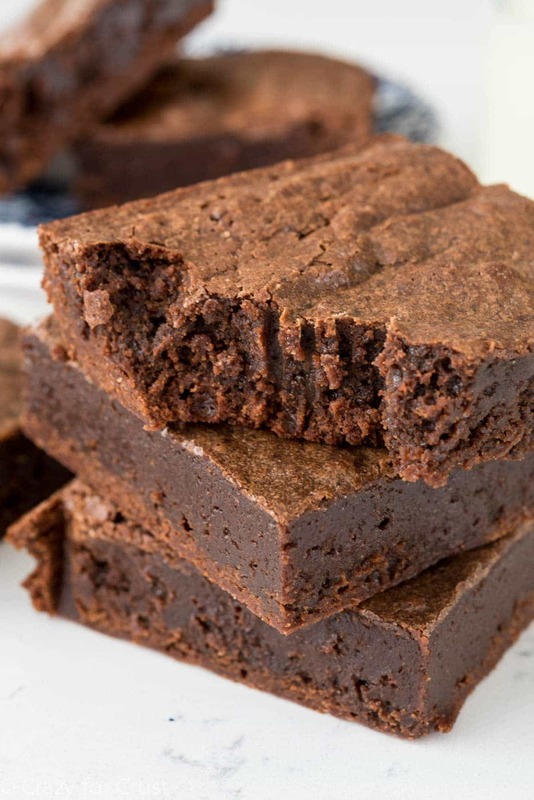 These brown butter brownies are fork-to-pan brownies. They’re EASY to make, don’t let the words “brown butter” fool you. Have you ever had brown butter? I’m in loooooove with the stuff. I use it in the BEST EVER Chocolate Chip Cookie recipe and in Chocolate Chip Cookie Cupcakes and I even have a cake I’ll be sharing with you super soon that you’re going to love. Y’all, brown butter is where it’s AT. 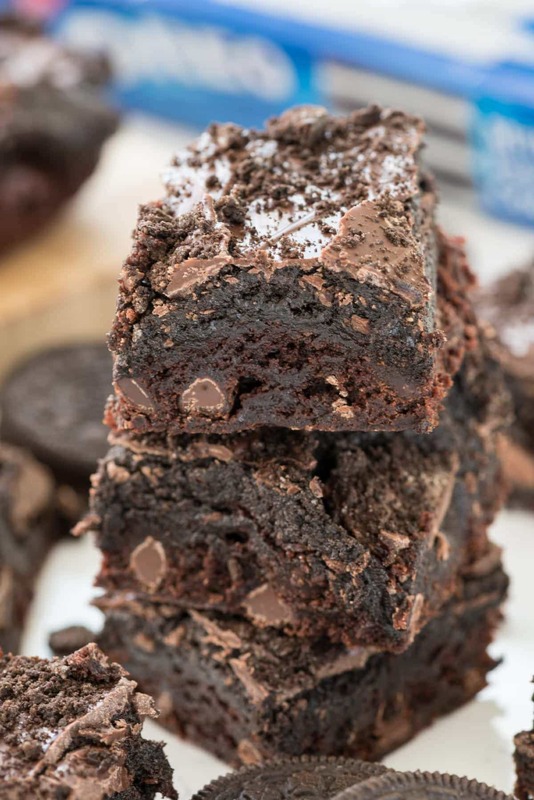 My favorite brownie recipe is amazing just by itself. But when you brown the butter first. Oh. EM. GUMMY BEARS. What is brown butter? Well, brown butter happens when you cook butter over low heat until it melts, then it boils and as it cooks it turns a light golden brown color, hence the name. The golden brown color gives the butter a richer, nuttier flavor. Adding brown butter to sweet and savory dishes adds a huge depth of flavor to your recipe, especially to baked goods. These brownies have 3 kinds of chocolate and tons of brown butter flavor. Browning butter is SUPER easy, I promise. You can see this post for a tutorial but basically you add your butter to a saucepan and heat it over medium low heat for several minutes, stirring occasionally, watching it closely, until it turns a rich amber color. If you’ve never done it before you just have to be careful to watch it as it starts to change color because it goes from butter color to burned pretty fast. You want a rich amber color. ANYWAY, best brownies in the WORLD right here. You need this recipe, am I right or am I right? Yes? This recipe originally appeared on eBay. 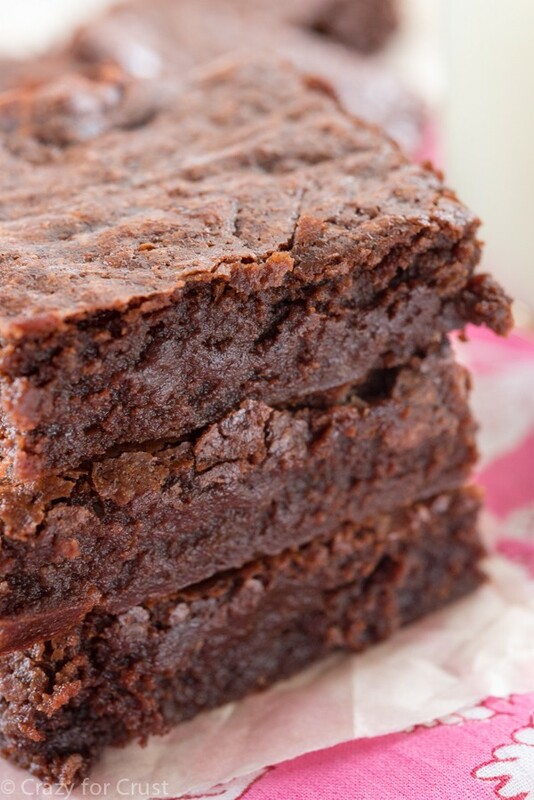 These Brown Butter Brownies are my FAVORITE BROWNIES ever!! They're gooey and perfect and the brown butter inside gives them a unique flavor. Plus - 3 kinds of chocolate! Preheat oven to 350°F. Line a 9x13" pan with foil and spray with nonstick cooking spray. Melt butter in a saucepan over medium heat. Cook, stirring often, about 6 minutes, until it becomes brown in color. It will foam, reduce, then foam again. Once it’s done cooking the foam is a light brown and it will dissipate after you remove it from the heat. Once it starts to brown, keep stirring so it doesn’t burn. Once it gets to an amber color, turn off the flame. Add both baking chocolates to the butter and stir until the chocolate is melted. Stir in sugar, eggs, vanilla, salt, and cocoa and stir until combined. Stir in flour. Pour brownie batter into prepared baking pan. Bake for 20-24 minutes until a toothpick along the edge comes out with just a few crumbs. This results in very fudgy dense brownies. Cool before slicing into bars. Optional: Add 1 cup of chopped nuts, chocolate chips, or other chopped candies to the batter before pouring into the pan to bake. “Brown Butter is the BEST butter!” is my motto. And with rich chocolate brownies? I don’t know why I’ve never tried that, but looking at that stack of fudgy deliciousness has me wanting to brown some butter right now! Ok you have convinced me, I need to try brown butter! These seriously look like the fudgiest brownies ever!!!! Wow Dorothy, these look so fudgy and divine, the brown butter must add a superior nutty flavour, pinned! Oh my word! These look so yummy! I love brown butter sooooo much. 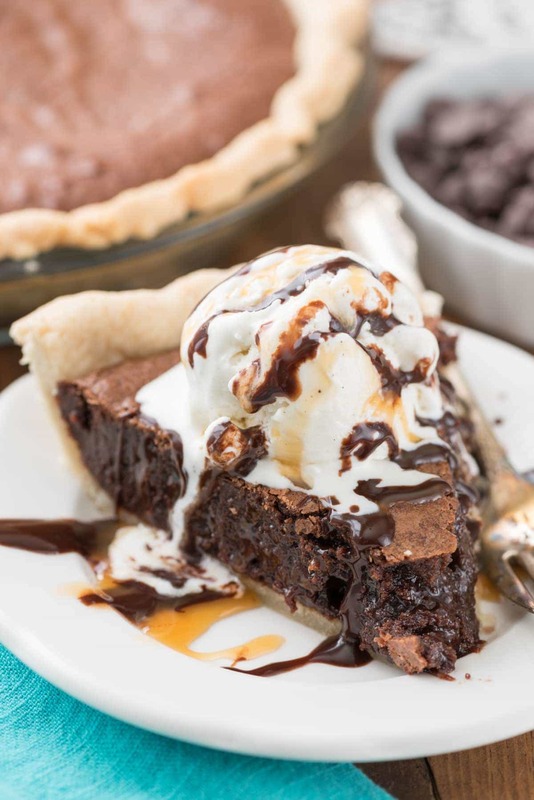 I’ve never thought of putting it in brownies, but it sure sounds amazing! Brown butter definitely makes everything taste better! I might be able to just drink the stuff. Haha! Brown butter is the nectar of the gods. That simple. I haven’t looked the same way at regular butter since I first inhaled brown butter. And in brownies? YESYESYES. These sound yummy but why in the world was the recipe on EBay? I work for eBay as a blogger. They have me create content and I create recipes best! The texture looks spot on! Yum! yes! 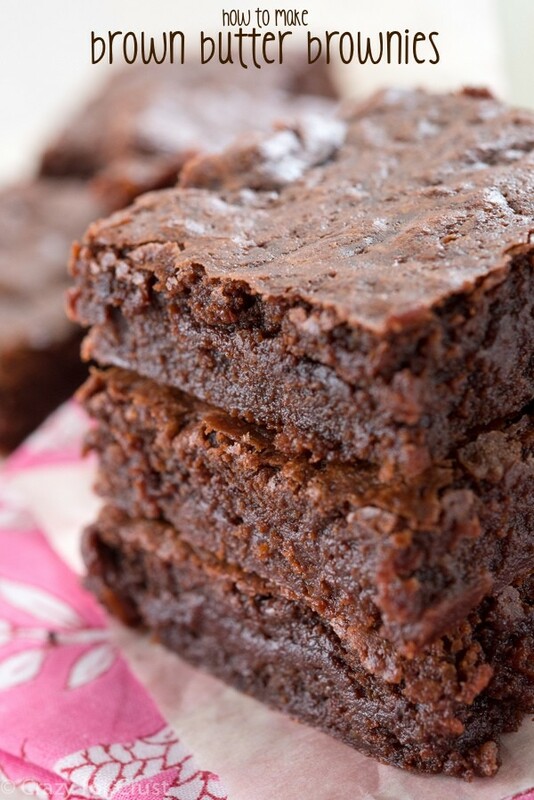 brown butter brownies are my faaaave! Brown butter will always get my attention, and I had no idea your could post recipes on ebay! There’s nothing I like to eat to top off a good bbq then some great brownies! I’ll give this recipe a try for sure.